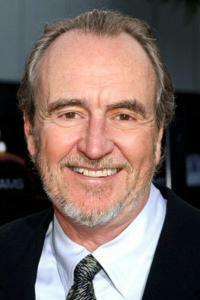 Wes Craven is an American movie director, producer, actor and writer in the film industry. He is best known for TheÂ Last House on the Left, The Hills Have Eyes, A Nightmare on Elm Street, Red Eye and Scream. He was born on August 2, 1939 in Cleveland, Ohio, U.S.A. to mother Caroline and father Paul Craven. His birth name is Wesley Earl Craven, and he is now 6' 2" (1.88 m). He went to Wheaton College in Illinois and earned an undergraduate degree in English and Psychology. He then earned his masters degree in Philosophy and Writing from Johns Hopkins University. He was married to Bonnie Broecker from 1964â€“1969, and they had two children together, Jonathan Craven born in 1965 and Jessica Craven born in 1968. Jonathan followed in his father's footstep and became a writer and director. Jessica was a songwriter and singer in a group named Chapin Sisters. He married Mimi Craven July 25, 1982 and divorced in 1987 because he thought it was a sham. He married Iya Labunka on November 27, 2004 who worked in some of Craven's filmsÂ as a producer. Wes CravenÂ taught English at Westminster College and was a humanities' professor at Clarkson College of Technology (now Clarkson University) in New York. He was not satisfied with his teaching career and pursued a career in the filming industry in 1971. He is the author of Fountain Society (1999) and Coming of Rage (2013). He was a producer in 1971 for Together. The first movie that Wes Craven directed, edited and wrote was The Last House on the Left in 1972.